Glasgow Kelvin Sweeps The Board at BESA Event – Again! Glasgow Kelvin College apprentices have once again put in a very impressive performance at this year’s prestigious BESA Scotland Awards. Winning three of the five categories and overall carrying home eight of the sixteen awards, the students have made their employers, and their building services tutors at College, very proud. 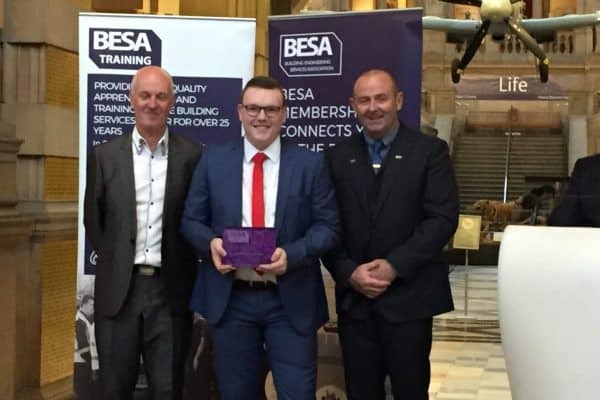 Third year Refrigeration and Air Conditioning Apprentice, Jonathon Lansdowne from Renfrew, was the winner in his category and went on to scoop the overall BESA Scottish Apprentice of the Year. 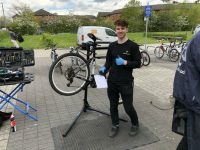 Jonathon works with TRS and his tutors are delighted with the progress he has made throughout his apprenticeship training with them. A happy Jonathon is picture here with his Award and Allan Bolton, Electrical Manager with TRS Ltd (left) and Rab Fletcher, BESA Chair of Scotland Region (right). Heating & Ventilation Fitter Apprentice of the Year Award winner, Ryan Kelly from Kilwinning is apprenticed to James Frew Ltd.
Dominic Downie of Troon, who works with South Ayrshire Council, was awarded Service & Maintenance Apprentice of the Year. The Building Engineering Services Association (BESA) has evolved throughout the years to reflect the growing needs of its members and to encompass all of the specialist services available within the built environment. Each year it recognises emerging talent and skills in the sector through these prestigious awards at regional and, ultimately, UK national level. The awards were kindly sponsored by Milwaukee, Nuaire, Weir & McQuiston Scotland Ltd, Taylor & Fraser Ltd, City of Glasgow College and Technical Retail Services Ltd. Winners are automatically put forward to the National Awards which will be presented at a glittering ceremony in Park Plaza Hotel, London in November. 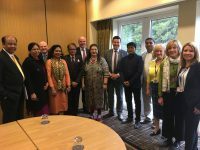 Glasgow Kelvin College is delighted to see its students honoured in this way and looks forward to continuing its strong partnership with BESA in Scotland. These talented students are an inspiration and a testament to the skills and hard work of their tutors and the enthusiasm and commitment of their employers. Congratulations go to everyone involved and fingers are crossed for the National event in November. Two of Glasgow Kelvin College's talented Refrigeration apprentices have been shortlisted for the prestigious SkillFridge Awards 2017. As part of the HVAC and Refrigeration Show, the finals will be held at Birmingham NEC in November. 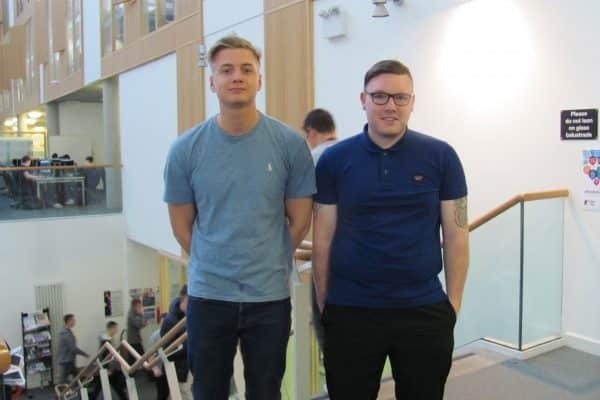 The lads, Lewis Walker who works with Clover Technical Services and Jonathan Landsdowne of TRS Refrigeration, are third year apprentices in Refrigeration & Air Conditioning. They earned their places at the regional heats and should join only another five apprentices who have been shortlisted to compete at the nationals in November. Unfortunately, Lewis is away on holiday at the time of the finals and will be unable to participate. The College will certainly be rooting for success for Jonathan on the day. Both students should be very proud to have achieved this level of recognition and they are a testament to the work and commitment of the staff who have supported them. 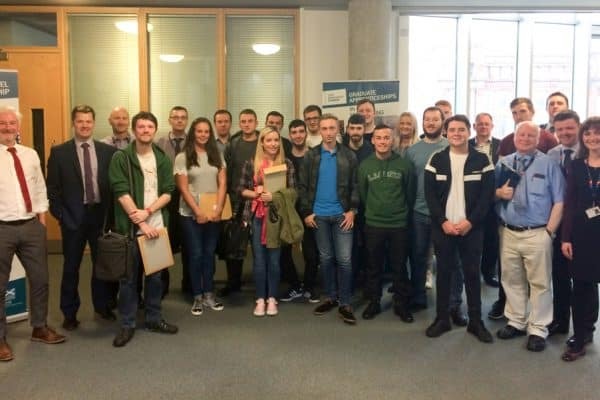 Civil Engineering students and their employers attended a Welcome session at Glasgow Kelvin College marking the start of the new Graduate Level Apprenticeship in Civil Engineering this week. 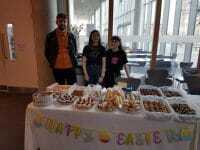 Glasgow Kelvin College was delighted to welcome its partner employers, elected members and invited guests to the Springburn Campus to congratulate the first students on the programme. 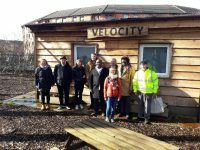 As the first FE College in central Scotland to be offering this innovative programme, the College welcome event included speakers from Skills Development Scotland Diane Greenlees, and the Institution of Civil Engineers, Sara Thiam. College staff outlined the benefits of the programme to employers who are looking to develop their business further and support advanced level qualifications for their budding engineers. 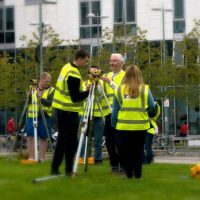 The programme, developed by Skills Development Scotland (SDS) with support from the European Social Fund, provides work-based learning opportunities up to Masters degree level and with all learning currently funded for employers. It will support Civil Engineering students to attain a graduate SCQF level 8 qualification over a 2-year programme. Graduate Level Apprenticeships provide the opportunity to combine academic knowledge with workbased skills development to enable participants to become more effective and productive employees. Graduate Level Apprenticeships allow employers to maximise their return on skills investment, providing the graduate talent pipeline their business needs. Apprenticeships are proven to deliver tangible business benefits through a blend of academic and practical learning. Benefits include: increased productivity, talent development and retention, improved service delivery, and staff engagement in their own professional development.